Yap is an island among the Caroline Islands in the Western Pacific Ocean. It is part of the Federated States of Micronesia and is known as the “Mysterious Isle of the Stone Money”. Yap lies southwest of Guam and northeast of Palau. 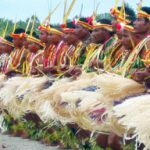 Yap has managed to let most of the modern world pass by and practices Micronesia’s most reserved and traditional lifestyle. Most intriguing to visitors (aside from the prolific schools of mantas) is the famous stone money of Yap–massive wheels of solid stone quarried in far off Palau and placed outside the thatched men’s houses and family huts to denote wealth and status. 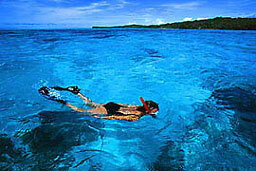 Diving is excellent and unexplored in Yap’s clear waters and virgin reefs. Manta Ridge, in Miil Channel, offers divers a unique experience…swimming in the midst of breathtaking schools of manta rays. 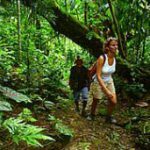 Yap may not have the luxury and bright lights of a big island, but the friendly faces, traditional lifestyle and unspoiled beauty make it an unforgettable part of the charm and mystique that is the Micronesia experience. Award winning Yap Divers was Yap’s first PADI 5-star Dive Facility, and together with the adjacent Manta Ray Bay Hotel, was alsoYap’s first PADI Gold Palm Resort. With Yap Divers, you can be assured of clean, pure air, safe diving, and a full range of instruction from Open Water through Divemaster. We also offer a number of specialty dive certifications for those who want to expand their formal dive training, and we are the only place in the world where you can complete the PADI certified Manta Ray Awareness Course…a perfect way to enhance the Yap Island vacation. Yap Divers offers NITROX blends as well as PADI Enriched Air Specialty or TDI Nitrox certification classes. The dive traveler is offered all that he or she could ever ask for in terms of dive experiences with regularly scheduled drift dives, wall dives, cavern dives and night dives, as well as our specialty – Giant Manta dives. 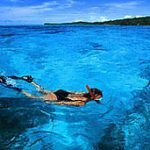 Although we have a host of charted dive sites and a program to discover more dive destinations, the fun part is that a large number of Yap’s reefs remain unexplored. It is often said that Yap is “World Class Diving’s Best Kept Secret”. Very few people know, or will ever know, Yap’s reefs like the staff at Yap Divers. 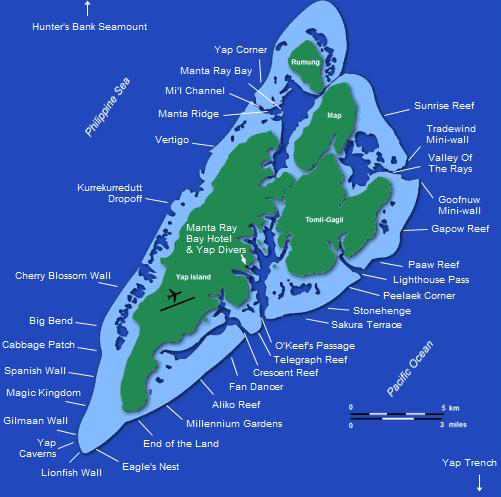 Most of the dive sites in Yap were discovered and named by us. 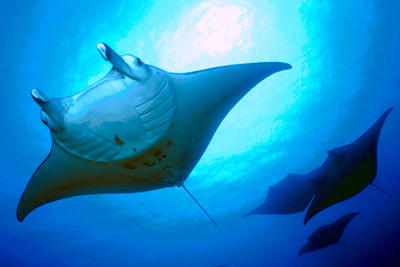 Mi’l Channel, one of our premier dive destinations, is more than the “home of the Mantas”. This site has been classified by Skin Diver Magazine as one of the top dive destinations in the world. The Yap Pacific Dive Center is located right on the bay at Yap Pacific Dive Resort. With four dive boats and its own private dock, the operation provides convenient service to guests of the resort. All of your equipment will be loaded and unloaded, assembled and disassembled, rinsed in fresh water and stored in the equipment room for you. Towels, snacks, and a choice of water, coffee, or tea is provided on the boats. All dive sites are within a 5-40 minute boat ride of the resort. Rental equipment includes ScubaPro BCD’s, regulators, masks, fins, and snorkels, Seeman 3mm shortie wetsuits, Oceanic dive computers, and underwater torches. Two powerful compressors (Air and NITROX) are used to fill 100 aluminum tanks. NITROX is free for certified guests. The standard is double tank dive days with an optional afternoon or night single tank dive. A full range of PADI classes are offered including Deep Diver, Underwater Navigation, Night Diver, Wreck Diver, Drift Diver, Underwater Photographer, and NITROX. This shallow ridge, located near the mouth of Miil Channel, is frequented by gentle mantas ranging in size from four to fourteen feet. As many as thirty have been sited here at one time! There’s an excellent chance you’ll also see schools of jacks, white tip sharks, grey reef sharks, black snapper, parrotfish, morays, turtles, eagle rays, and dolphins. A series of mini-walls, complete with coral formations and overhangs, provides the perfect opportunity for macro photographers. A myriad of reef fish and critters can be found here. Gentle terraces gradually descend to a coral plateau. Featuring coral outcropping, crinoids, and plenty of nooks and crannies, this site houses many small reef fish, mortfish, stonefish, parrotfish, and lobsters. Sharks, turtles, and spotted eagle rays can be found a little deeper. Coral outcroppings rising from the bottom form cleaning stations for countless mantas to glide over after a night of feeding in the open sea. The largest of these is a huge formation of lettuce coral called the Merry-Go-Round which dominates the center of the channel. The mantas continually circle this formation while being groomed. Commonly present at the bottom of the channel are white tip sharks, large pufferfish, and octopi. A gentle coral slope that drops off abruptly at about 70ft and features a few flat, sandy areas that are frequented by sting rays. The slope consists of a wide variety of hard corals with a few species of soft coral here and there. Reef fish are abundant here and sharks and turtles frequently pass by. This sandy-bottomed channel features walls covered in pristine hard and soft corals. Swim-throughs, overhangs, large sea fans, and WWII relics such as artillery shells and a Japanese torpedo are a few of the highlights. Exciting, recently discovered site. See large oceanic gray sharks, white-tips, eagle rays, and schools of jack, snapper, and barracuda. A seemingly endless variety of pristine hard corals decorate the landscape, while swim-throughs, crevices, caves, and a spectacular wall provide even more interest. Look for anemone fish, sting rays, and other reef fish in the sand channels. Channel with sandy coral rubble bottom and vertical coral walls. Currents that rip up to 4 miles per hour make for an incredible drift dive with lots to see….hard corals, purple soft corals, mantas, eagle rays, hawksbill turtles, barracudas, moray eels, soldierfish, parrotfish, reef sharks, lobsters, octopi, and schools of snapper and jack. The Manta Ray Bay Hotel is a dedicated dive resort, designed by divers and built for divers. 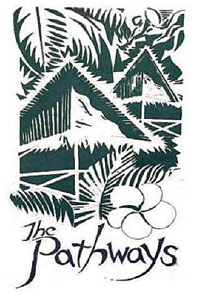 We have often been called “The Best Little Dive Hotel in the Pacific”. Yap Divers, a superb dive operation, is conveniently located within steps of the hotel. 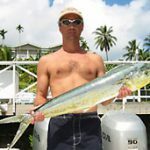 We also offer world class fishing with Yap Anglers, and an opportunity to explore the wildlife and nature by kayaking with Yap’s Planet Blue Kayak Tours. Each of the 35 rooms is named for a specific fish, and is decorated accordingly. All rooms feature air conditioning, ceiling fan, TV & DVD player, IDD telephone, refrigerator (upon request), and private bathroom with hot water and built in hair dryer. Most rooms have built-in electronic safes. 13 Standard rooms, with no balcony or ocean view, face away from the water, overlooking the road and hills beyond. 18 Ocean View rooms feature private balconies and nice views of the lagoon. 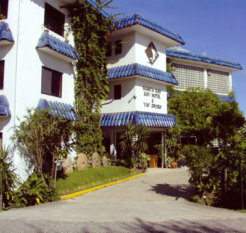 The photo to the left is Room 102 (the Manta Ray room), an Ocean View room. Room configurations vary. The first floor has 5 rooms with a queen size waterbed and a queen size regular bed per room. Most of the rooms on the second and third floors have two queen size regular beds per room. A few rooms on the 2nd and 3rd floors have 1 king size bed per room. 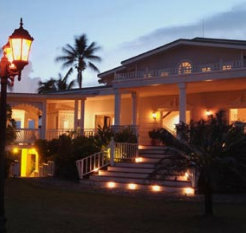 4 Deluxe Ocean View rooms with private, ocean view balconies and king size beds are also offered. Rooms 106 & 107 each feature a sitting area and private outdoor plunge pool complete with gazebo and lush garden. Room 300 features antique furniture, a sitting area, a raised bedroom area, and a huge indoor shower made from river stones. Room 301 (the Queen Angelfish room), pictured to the right, boasts a spiral staircase leading to an exclusive rooftop Jacuzzi and sun deck. A suite can be created with the adjoining Ocean View room (2 queen beds). The Pathways Hotel is a leisurely 5 minute drive from the airport, and overlooks a tranquil lagoon on the edge of Colonia, Yap’s town center. With a few exceptions, most of the hotels, dive shops, restaurants, bars, and grocery stores are within easy walking distance from the hotel. The hotel is built on a steep hillside, with each of the nine cottages commanding a view of the quiet lagoon below. The hotel was constructed using local materials with exceptional attention to detail. Hand-woven coconut fiber ropes lash the mahogany beams together, while thatched rooftops and fresh hibiscus flowers on your pillow each evening make for a Yapese experience you won’t soon forget. The nine thatched cottages are scattered among lush foliage and connected by wooden walkways. 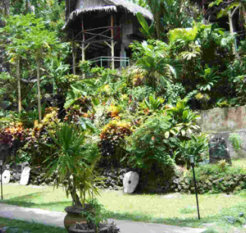 There are seven Native Deluxe cottages, a Honeymoon Shack, and a Guest Hut which is designed for single occupancy only. Each cottage features a private veranda, A/C, ceiling fans, refrigerator, hot water, and 8 screened bay windows for taking advantage of the natural flow of the trade winds. Wireless internet is readily available. JM’s restaurant & bar serves breakfast, lunch, and dinner. The beer is ice cold, but the bar is fully stocked, and tropical island drinks are the specialty. The menu is created around local seafood such as lobster and crab, and a bountiful variety of local foods, such as taro, yams, tapioca, and fresh fruits. 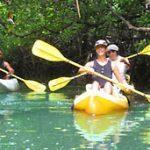 Activites include half and full-day island tours, cultural tours, snorkeling tours, and local artist demonstrations twice a week. At Yap Pacific Dive Resort, we are committed to making your vacation a soothing and rich experience. Yap Pacific Dive Resort is located on Yap, an unspoiled Micronesian island that offers world class scuba diving and a host of other environmentally friendly activities. The resort offers all the amenities of a fine 5-star hotel. The luxurious atmosphere of Yap Pacific Dive Resort is due in large part to the fine craftwork that went into building the hotel. The floors are made of polished wood and the staircases and public areas are open and adorned with an array of local art pieces from all over Micronesia. This intimate retreat of 22 rooms is styled in unique 1800’s Victorian architecture. All rooms feature air conditioning, ceiling fan, mini bar, TV, IDD telephone, hardwood floors, and French doors that open onto a patio or veranda. 6 Patio rooms, located on the first floor, open onto a private patio surrounded by a garden and hedge. 6 Veranda Ridge rooms are located on the second floor and open onto a veranda with a tropical view. 8 Veranda Ocean rooms are located on the first and second floors and enjoy views of the swimming pool, Chamarro Bay, and the ocean. Two 800 square foot Grand Suites offer the ultimate in luxury with a bedroom, two bathrooms, a wet bar, living room and dressing area. One is located on the first floor, the other on the second floor. Both enjoy wide verandas with sweeping views of Chamarro Bay. Located on the main deck of the “S.V. Mnuw” (Manta Ray Bay Hotel’s own one hundred year old South Seas Schooner), this restaurant offers a unique feel with its rough-hewn floors and beams, teak walls, wall sconces, and intimate lighting. The menu features a blend of local, Asian, and European flavors. Great burgers, fresh fish sandwiches, and steamed mangrove crab! Two bars, Nautical Weaver on the wheel house deck, and Crow’s Nest on the top deck, are also great places to grab a bite and swap dive stories. Be sure to try a pint from Manta Ray Bay Hotel’s own on-site brewery, Stone Money Brewing Company. Snorkel the fringing reef surrounding Yap. 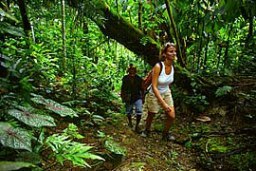 Take a tropical hike along one of Yap’s ancient Stone Paths. Tour WWII relics and aviation ruins. 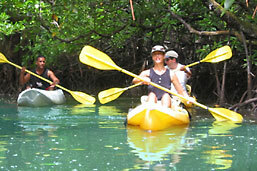 Explore the mangrove channels via kayak. 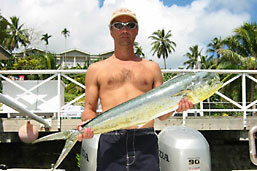 Enjoy a sport fishing charter. It is one of the Federated States of Micronesia, located in the western Pacific Ocean. It lies southwest of Guam and northeast of Palau. How long are the flights to Yap? From Los Angeles, the flights can take up to 20 hours including 2 stopovers. From New York, it will take 26 hours with 2 stopovers. The official currency is the US dollar. Yap’s famous stone money is used only during traditional ceremonies and land purchase. English is commonly used and understood. 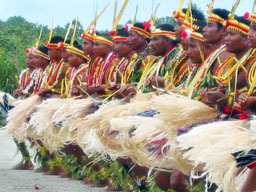 Yap also has 4 indigenous languages….Yapese, Ulithian, Woleaian, and Satawalese. Many individuals are also fluent in Japanese. U.S. citizen staying less than 30 days are not required to have a visa. However, all visitors need to have a valid passport and an onward or return ticket. Passports must be valid at least 120 days beyond the date of entry in the FSM. Yap uses standard 110 volts (same as US). What airlines fly to Yap? Continental Airlines offers full jet service to Yap. Mantas, sharks, turtles, tropical reef fishes, barracudas, hard and soft corals, caverns, underwater photography. Your diving day may start at different times depending on where you are going. Manta dives depart anytime between 6:30am and noon. The standard departure time is 8:30am. Enjoy up to 3 dives a day including a sunset or night dive. We recommend wearing a 3mm wetsuit. While the water is warm enough to not wear a wetsuit, we would recommend divers to wear one for protection. Most dive sites are a 5-40 minute boat ride away. Yap is 17 hours ahead of Los Angeles and 14 hours ahead of New York.